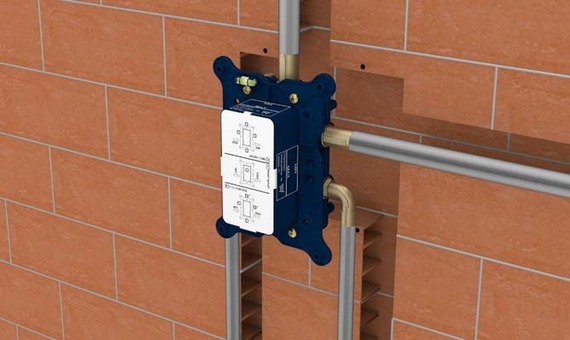 FirUnico® universal built-in system is compatible with all common types of walls and connecting and thraded piping systems. Below are a just few installation examples. 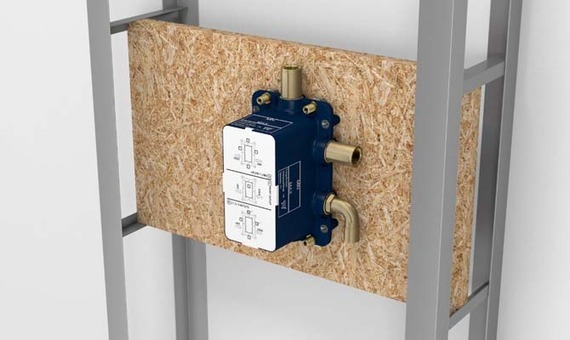 It is possible to install the built-in unit correctly even when the wall is too far away, using a stay rod system to install FirUnico® directly to the supporting wall. It is possible to install FirUnico® directly onto a supporting element (panel or wall), respecting the minimum and maximum depth of the external cladding (tiles included), respectively 60 mm and 85 mm (105 mm with an extension). 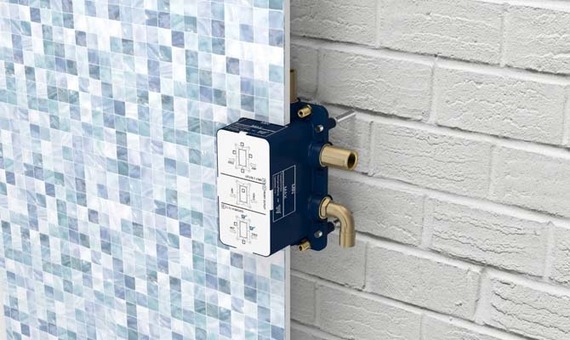 It is possible to insert FirUnico® into the wall at a minimum depth of 40 mm, with a minimum wall thickness (tiles included) of 20 mm and a maximum thickness of 45 mm (65 mm with an extension). 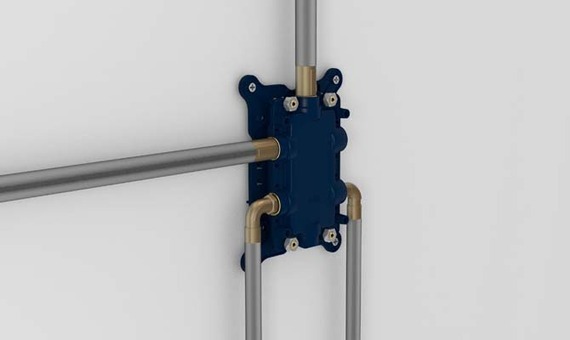 It is possible to install FirUnico® easily by using the supplied fixing plate when there is a wall with rear access to the finished part, where there is a minimum internal depth of 53 mm and the thickness of the finished supporting wall (tiles included) is between 7 mm and 32 mm (52 mm with an extension).